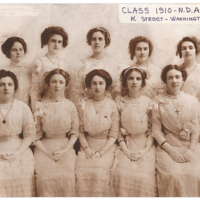 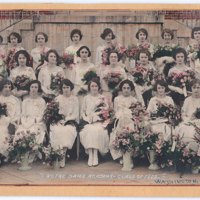 The 1922 graduates of the Academy of Notre Dame at the new school site across from the convent. 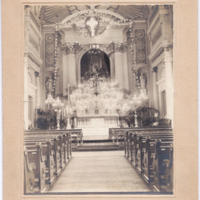 The interior of the St Aloysius Church, located across the street from the convent at K Street. 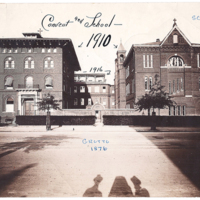 The Sisters taught the girls at the parish school, and later, starting in 1915, the boys through grade 8. 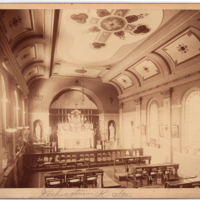 A view of the space of the early chapel at K Street, built around 1876. 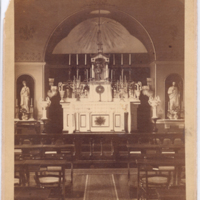 Cardinal Gibbons, a friend of the Sisters, frequently said Mass in the chapel when he visited the city. 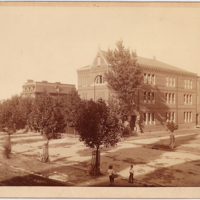 The community of Sisters at K Street in the 1880s. 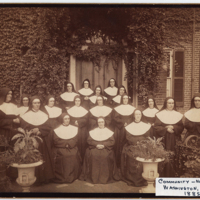 The first three Sisters who began the community were Sisters Lidwine (Superior), Clare, and Mary Clemence. 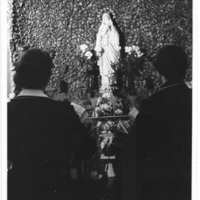 Sisters at prayer in the renovated chapel at K Street. 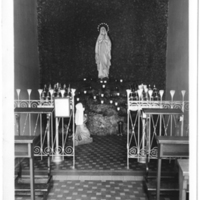 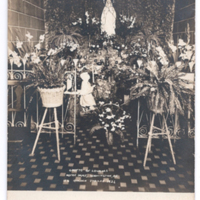 The chapel was renovated by Sister Superior Mary Appolonia in the 1900s; new tiles and fresco-ed walls were added. 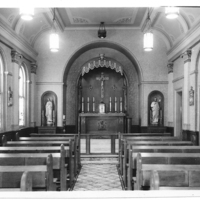 The renovated chapel at K Street. 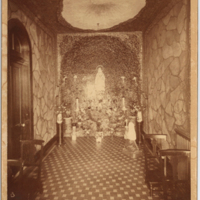 Sister Superior Mary Appolonia added new tiles and frescoes to the chapel when she was renovating other parts of the convent to make it more livable for the expanding number of the Sisters. 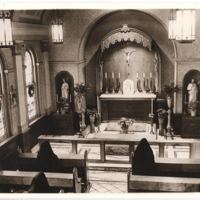 A view of the interior of the chapel at the K Street convent. 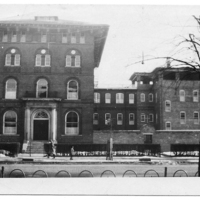 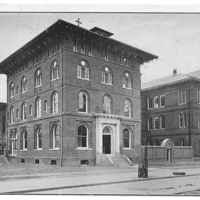 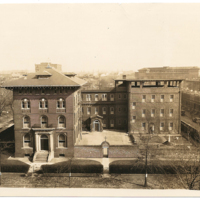 The original building at K Street did not have a chapel. 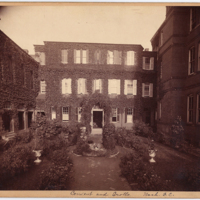 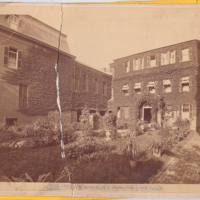 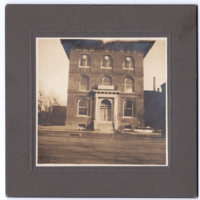 One was later built around 1876 at the rear of the convent and Industrial School.